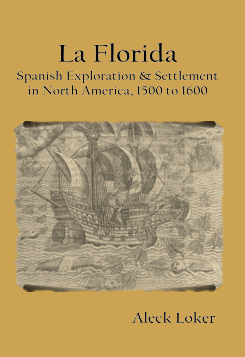 La Florida An engrossing narrative of Spanish settlement of the Native American territory. The characters come to life, and the clash of cultures explodes on page after page. From the discovery of the New World by Columbus, and Ponce de Leon's naming it La Florida, through sixteen major expeditions on the Northern continent. Unimaginable hardship, overlooked Native American kindness, and lust for gold provide a human dimension to this comprehensive history of early North America. An engrossing narrative of Spanish settlement of the Native American territory. The characters come to life, and the clash of cultures explodes on page after page. From the discovery of the New World by Columbus, and Ponce de Leon's naming it La Florida, through sixteen major expeditions on the Northern continent. Unimaginable hardship, overlooked Native American kindness, and lust for gold provide a human dimension to this comprehensive history of early North America. 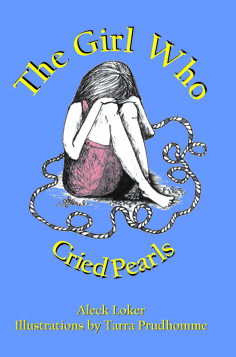 The Girl Who Cried Pearls--is the third book in the Beatrice Series. Beatrice and Emily rescue young Sarah who has wandered away from her mother and ended up in a desperate situation. Sarah learns a valuable safety lesson and comes to no harm thanks to the quick action of Beatrice and Emily. Tarra Prudhomme illustrated the story with delightful color and black and white drawings. Beatrice and Emily rescue young Sarah who has wandered away from her mother and ended up in a desperate situation. Sarah learns a valuable safety lesson and comes to no harm thanks to the quick action of Beatrice and Emily.